Another double-header for BatFast! Our events team were on the road last weekend putting bats in the hands of hundreds of people. Once again, demonstrating the adaptable and versatile nature of the simulator. From a tactical training aid to a corporate soiree, the BatFast simulator is truly accessible for everyone, no matter their ability. First stop… St Lawrence College, Ramsgate. BatFast returned to the South East and we were greeted with seaside nostalgia, picturesque scenery and a team of hungry cricketers looking for revenge against the B2. 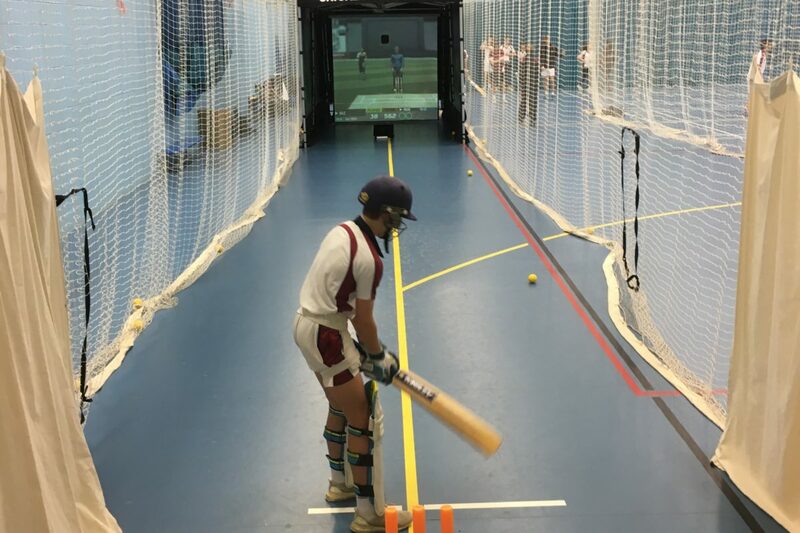 Our simulator was at the heart of a coaching development programme as a training tool, delivering just under 1,100 balls on the day. It was great to witness some scorching sixes and ferocious fours from the school’s finest cricketers and fringe Kent CCC players. Overall, engagement on the day saw 30 children facing 6 overs each, with one person facing the whip-lash-quick speed of 85mph. The BatFast Cricket Simulator finished the day with 57 wickets. Looking at those stats, it’s safe to presume the players were given a stern test, with the simulator averaging just over 1 wicket per 19 balls. It wasn’t all serious though, once the players finished their shot-specific training, they were able to express themselves on BatFast’s Innovate Game Mode. Innovate presents players with various audacious shots to play, upon completion, these shots are merited based on if they were achieved or not. From Dilscoops, to Reverse Sweeps and the iconic M. S. Dhoni Helicopter shot the young-guns impressed, further reinforcing their finesse. It was a pleasure to see so many talented young cricketers on show- we can’t wait for next time! Thank you SLC. Second stop… Canary Wharf, East London. 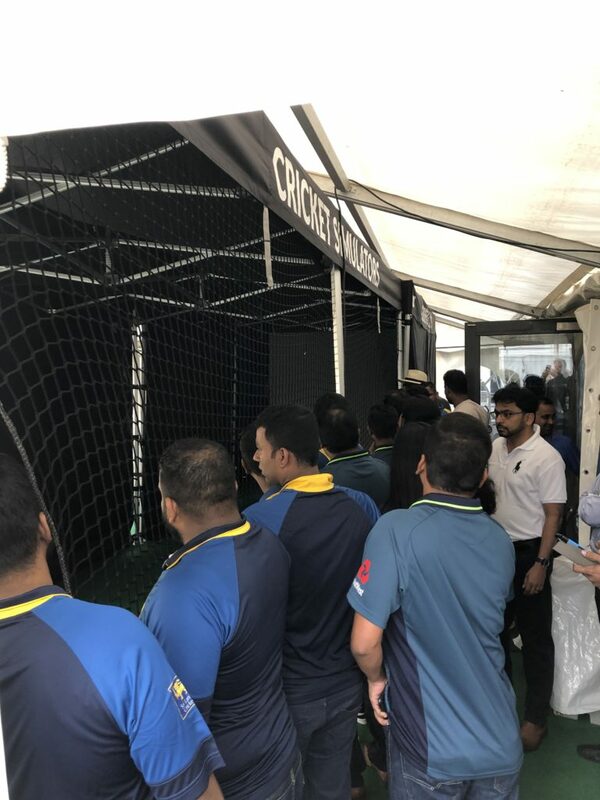 It was an absolute honour to be part of a cricket-themed exclusive private party in Canary Wharf, the BatFast Cricket Simulator overlooked the Docklands, as the evening fell, London City lit up the skyline, the speeches ended, drinks started to pour, and the cricket began. What can we say, the Sri-Lankans and Indians sure know how to party! 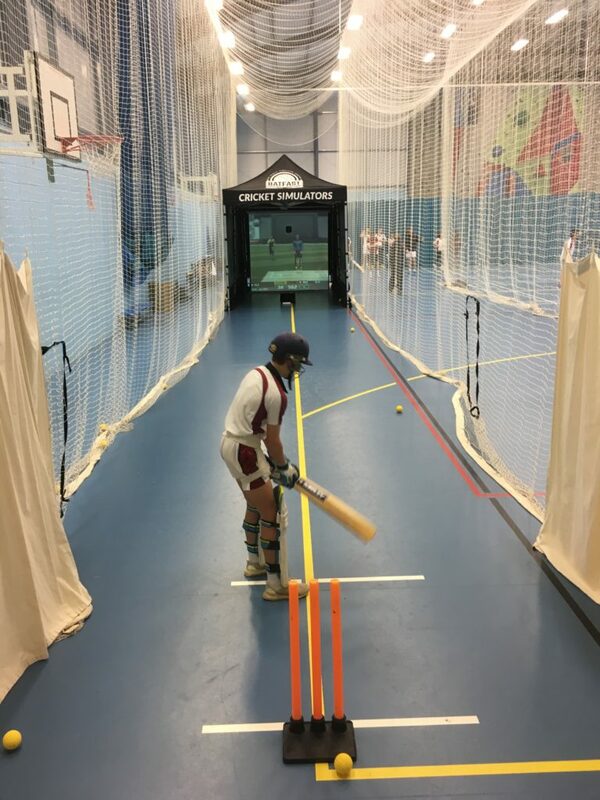 As soon as the BatFast Cricket Simulator was set up, the eager cricketers registered using BatFast’s user registration system, allowing us to create an interactive leader board thus adding, thrill-a-minute entertainment to the event. Colleagues can be competitive at the best of times, you should’ve seen them battle it out at the crease after a few drinks! Using softballs allowed everyone to pick up a bat, from the Chairman himself to his young children and even the elderly staff members, everyone was able to play no matter their ability! The BatFast Simulators agile nature means we can fit into any space from 9-18 meters, therefore making special events like this a huge success. To see action head over to our social media channels Twitter, Facebook, and Instagram. Overall, two differing events, one simulator, many fulfilled cricketers. Another successful weekend helping us deliver our relentless pursuit of increasing participation in the most beautiful game of all: cricket. For the thrill of the hit. BatFast. You’re In Next.